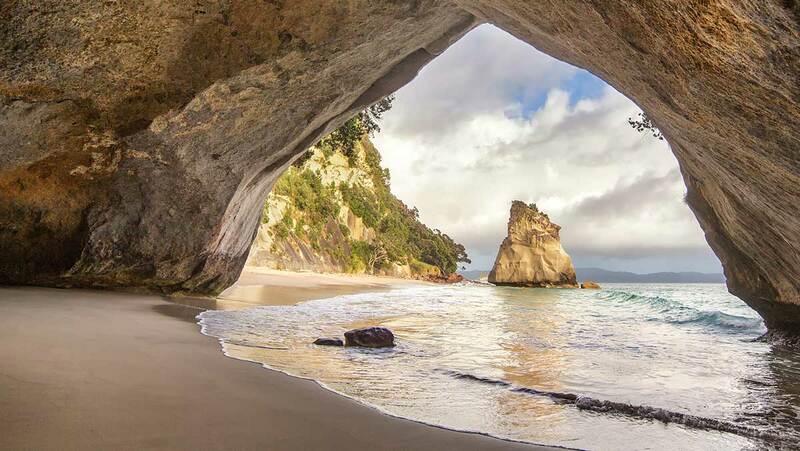 New Zealand’s North Island has never had a shortage of beautiful scenery to explore, so much so that some destinations don’t even seem real. 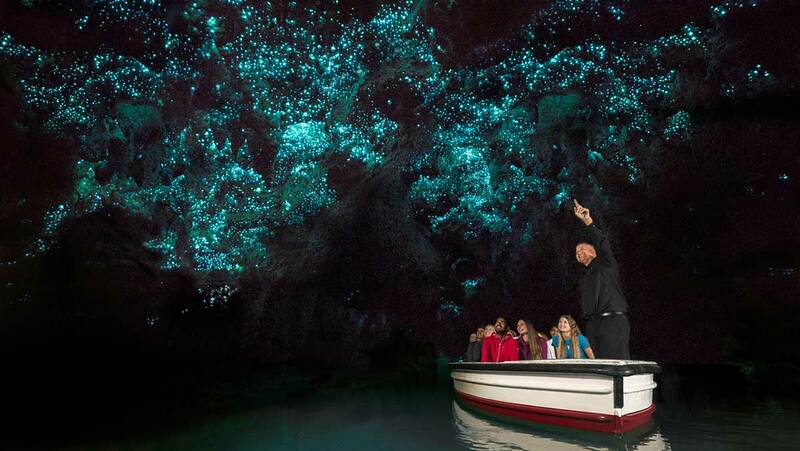 From active volcanoes to island sanctuaries, endless beaches to underground wonderlands, here are 10 spots that are must-sees in the North Island. 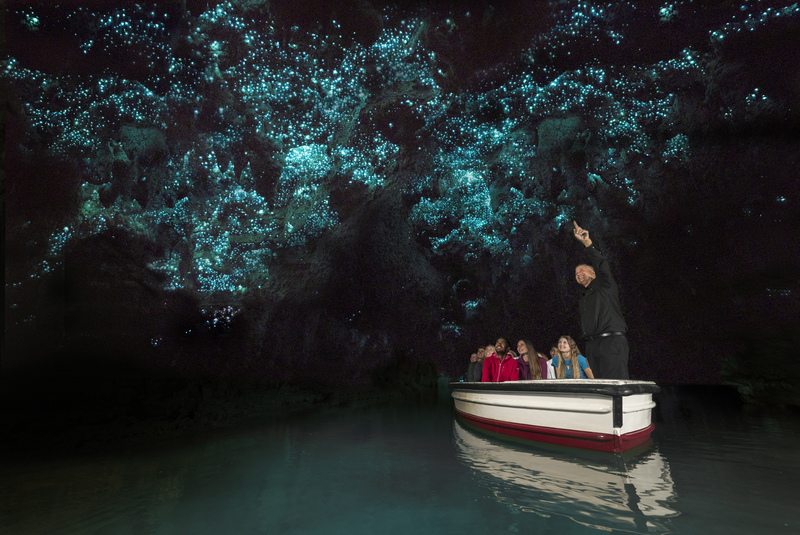 With picturesque scenery and glowworm cave that sparkles like the night sky, the Waitomo Caves in the Waikato looks like something out of a fairy tale. Make your trip that extra bit more exciting with activities such as whitewater rafting or caving, and be sure to document it all on your Go Pro. 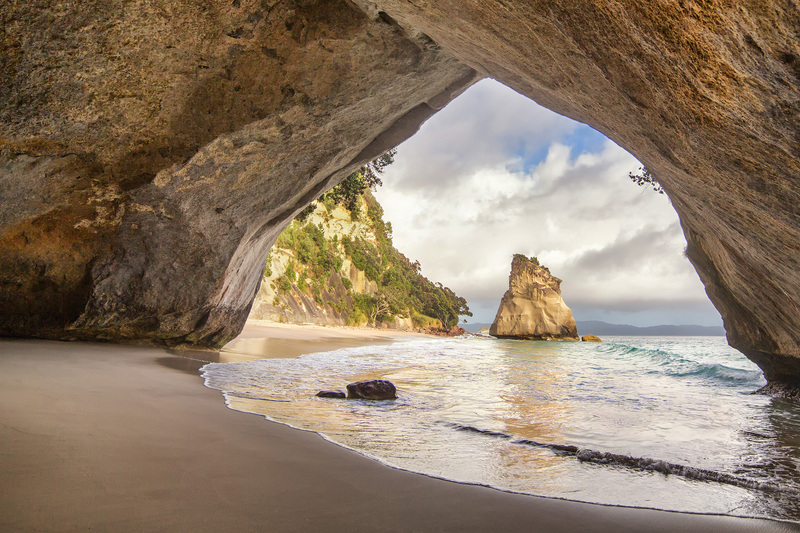 If a relaxing and scenic beach walk is what you’re after, Cathedral Cove in the Coromandel is the place to be. With views so breathtaking they have been featured in many films and epic cliffs looking out at the clearest blue water, this beach getaway destination is ideal for a beautiful summer’s day. In a small group of islands located off of Northland’s east coast is Poor Knight’s Island. 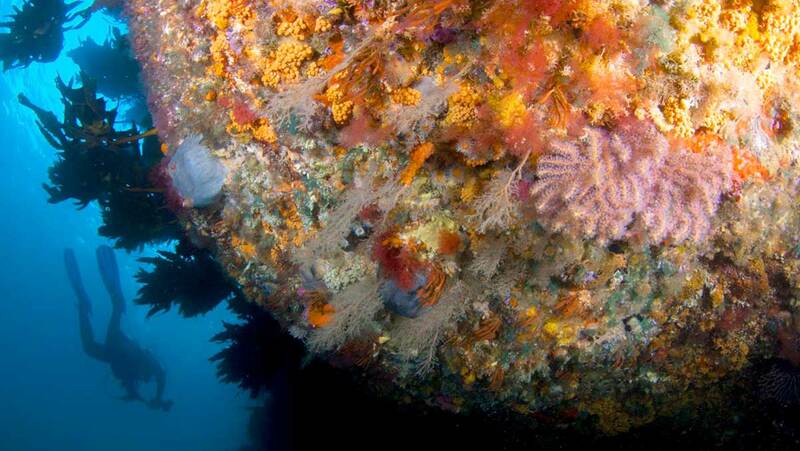 A highly popular spot for diving and beautiful nature reserve are Poor Knight’s Island’s main features. The crystal clear water it is the perfect spot for a dip or even a dive. 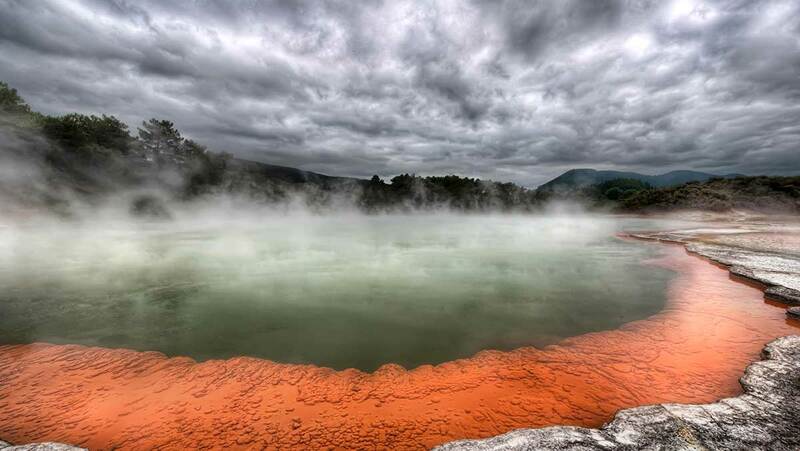 Rotorua is one of the world’s most spectacular Geothermal Wonderlands. The phenomenal creativity of nature can be seen in all its glory right here in Rotorua. Multi-hued lichens, moss and salt structures blend harmoniously with lush native greens, crystal blue lakes and earth tones ranging from rust to ochre. Rotorua and its surrounding areas are charged with a primordial ambience that challenges the auditory, visual and olfactory senses. Rain and flood erosion has formed these impressive stone pillars, as seen in the Lord of the Rings. 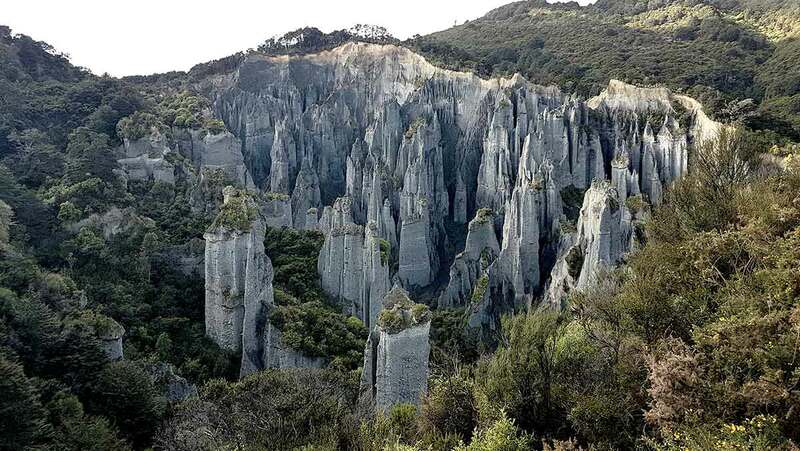 The Putangirua Pinnacles’ leaning rock formation Kupe’s Sail is also worth checking out and truly not from this world. 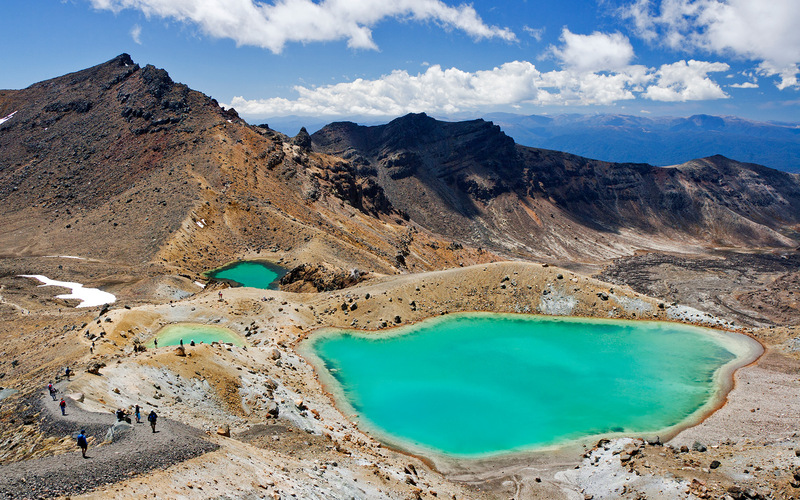 Every hiker’s dream is about to come true when you visit Mount Taranaki. 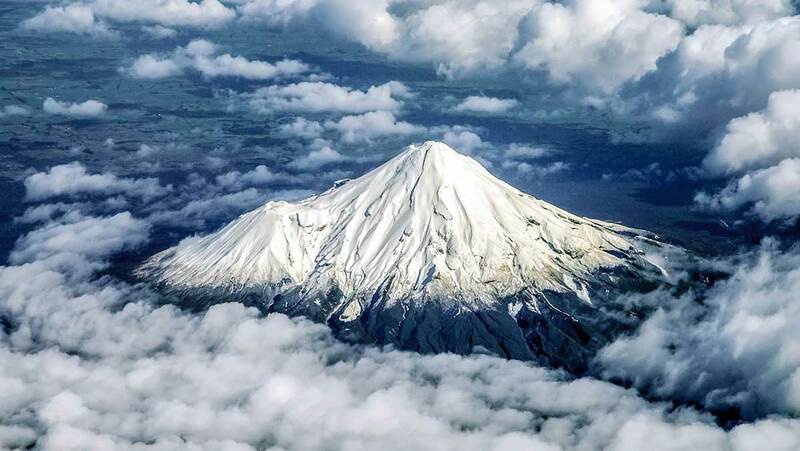 Known as New Zealand’s Mount Fuji, Mt Taranaki is the main attraction in this town. Rewarding those who climb it with some stellar views of New Zealand, it is definitely worth the challenge. 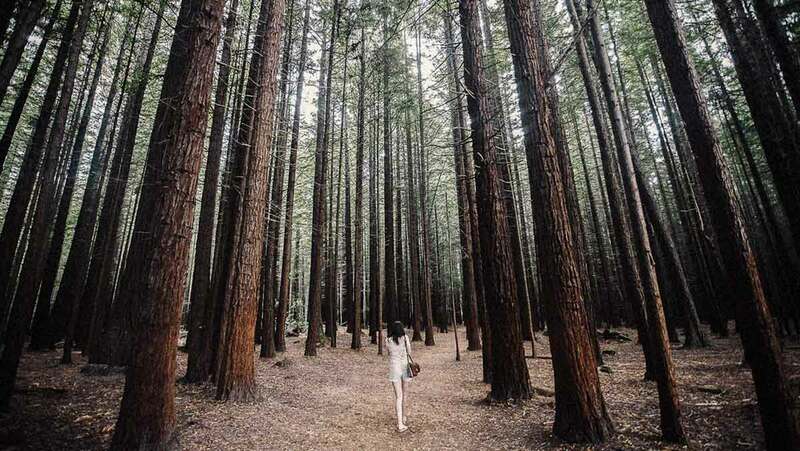 The forest is most well known for the network of superb mountain biking and walking tracks and for the magnificent stand of Californian Coast Redwoods. 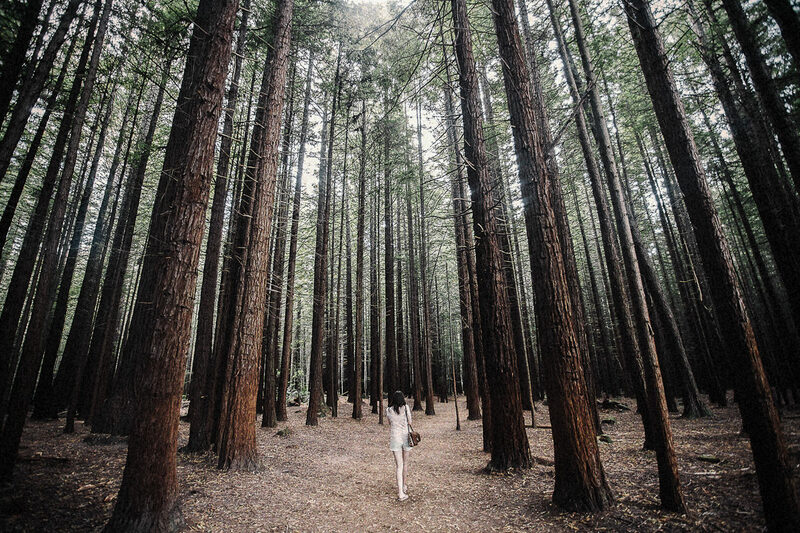 These towering trees, along with numerous other species and the fresh forest air, combine to create an invigorating atmosphere and a truly unique and special environment. 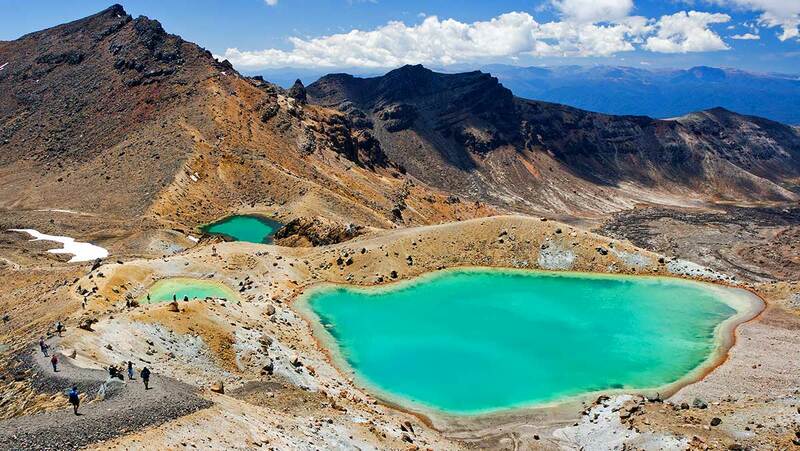 For those of you who are avid walkers and love a day tramp, the Tongariro Crossing is one to tackle. Often a busy location due to its popular walk, the visit is absolutely worth it. Previously described as “otherworldly” the crossing is an idyllic location that would make the perfect picture for your Instagram. 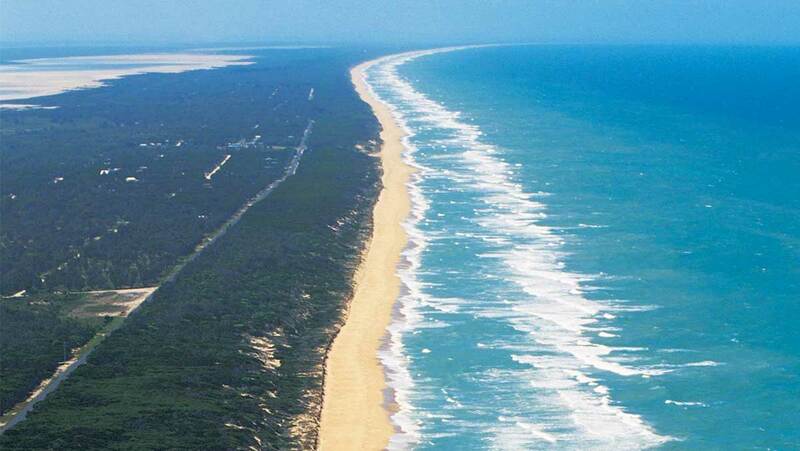 Along the sandy coastline at the top of our country, 90-mile beach is a walk stretching for 88km. Alongside sand dunes big enough to bodyboard down, and a breeze perfect for surfing, 90-mile beach is also the perfect destination for watching the sunset. 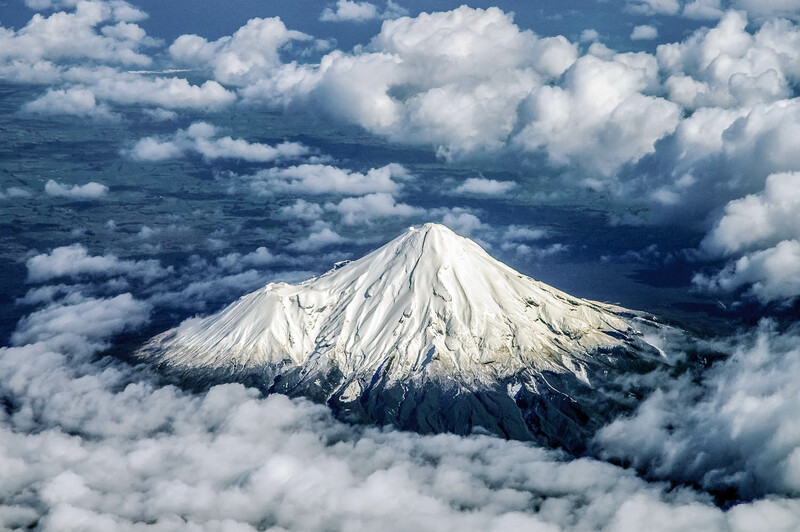 One of the most accessible and active volcanos in the world lies off the shore of the Bay of Plenty. 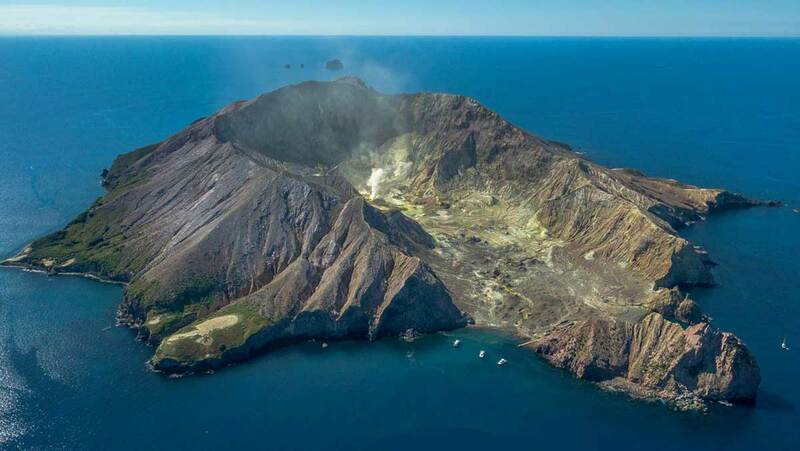 An attraction fully equipt with guided tours, sports for diving, and ways to enjoy the experience of the volcano, White Island is an ideal place to visit for those who are up for an adventure.